The field of taxation of employee and executive compensation and benefits is complex, dynamic, and ever-changing. Since 1980, there have been changes to the law affecting fringe benefits, qualified plans, and other types of compensation almost every year. The Pension Protection Act of 2006 (PPA06) (PL No. 109-280) contained the most extensive changes affecting qualified deferred compensation plans since the passage of ERISA in 1974. The American Jobs Creation Act of 2004 (AJCA) (PL No. 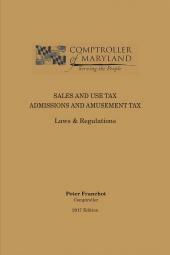 108-357) made the most significant change to the taxation of nonqualified deferred compensation plans in over fifty years. Dr. Dennis Lassila, CPA is The Shelton Professor of Taxation at Texas A & M University where he teaches courses in Compensation and Employee Benefits Taxation, Estate and Gift Taxation, Taxation of Pass-Through Entities, Taxation of Corporations and Shareholders, and Individual Taxation. He has taught at Texas A & M since 1983. Prior to that, he taught at the University of Hawaii at Manoa, St. Cloud State University, the University of Minnesota, and St. Johns University (Minnesota). 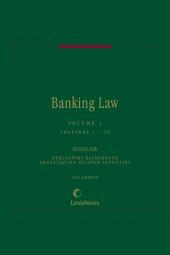 Dr. Lassila received his Ph.D. degree in Accounting from the University of Minnesota in 1981. His doctoral coursework included a minor in the University of Minnesota Law School. Dr. Lassila is a member of the American Accounting Association, the American Taxation Association, the Academy of International Business, and Linkedin. He has twice received tax faculty research grants from the Ernst and Young Tax Foundation (1987 and 1989). Dr. Lassila is the author of over seventy scholarly articles in such academic and professional journals as The Journal of Taxation, The Tax Adviser, The International Journal of Accounting Education and Research, The International Tax Journal, The Journal of the American Taxation Association and is the coauthor of Bender s Payroll Tax Guide (Matthew Bender) and Employee Compensation and Benefits Tax Guide (LexisNexis). Professor Bob Kilpatrick, CPA, is a Professor of Accounting and Taxation at Northern Arizona University, where he teaches courses in Individual Taxation, Business Entity Taxation, and Financial Accounting. He has taught at Northern Arizona since 1988. Prior to that, he taught at Texas A&M University, Oklahoma State University, and the University of Southern Mississippi. Dr. Kilpatrick received his Ph.D. degree in Accounting, with a Minor in Federal Taxation, from Oklahoma State University in 1984. 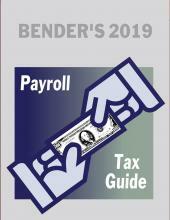 Dr. Kilpatrick is the coauthor of Bender's Payroll Tax Guide (Matthew Bender).